I think this is it for Christmas cards for the year 2012... I have lots more ideas but I'm running out of time and people... :) ... I probably will start keeping anything I make at this point and saving them for next year and really... I have lots more stuff I need to get done. For starters... clean the mess that was created to make these masterpieces!! ;) I start classes January 16... almost out of free time! So tomorrow, out to the post office to mail all the cards I currently have... I hope to keep postage under $30! Then to clean... clean... clean... :) Seriously! So I've discovered the world of digital images and I was sucked into the vortex... I've been so taken by it that I no longer even try to fight it... :) Here are three cards made for special friends. 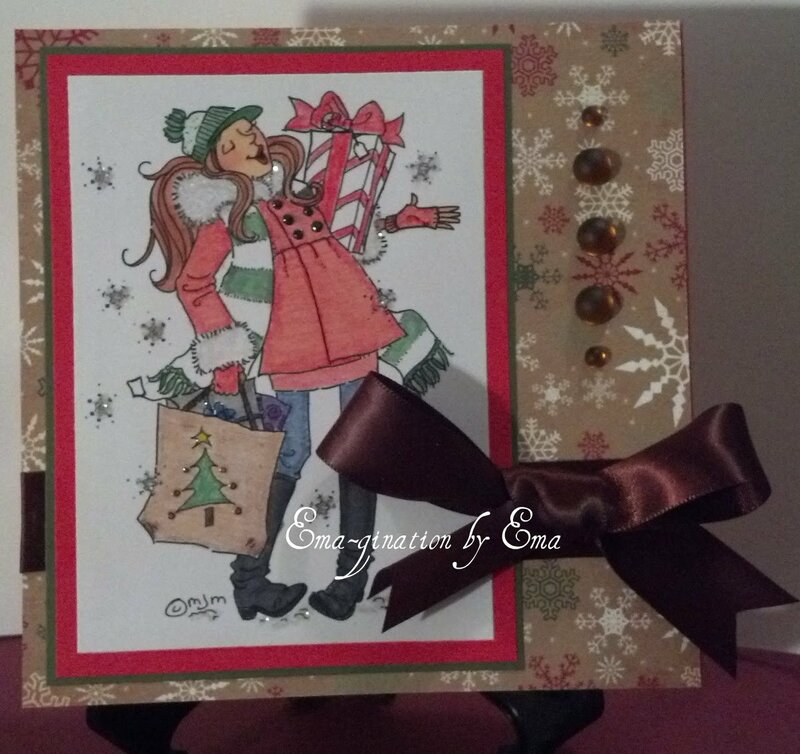 I used Bazzill cardstock for the background and mats from my long time cardstock stash. Ribbon, buttons and fibers are also from my long time stash and again I used a mix of Copics and EK Success color pencils to achieve the color. There's more of that awesome Crystal Snow glitter!! :) This image is from SimplyBStamps. She's got quite a selection as well and I struggled to pick just one as well! I think I bought like about ten of them... but at the same time... she had a special discount going on so it didn't hurt so bad! ;) This is the Merry London digital image. 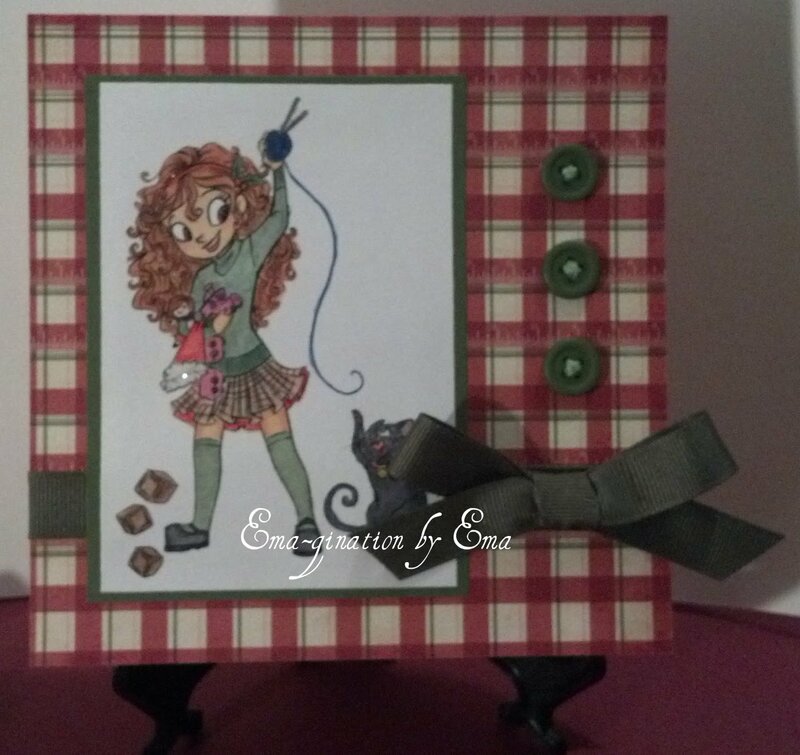 Again, background cardstock is from Bazzill and all mats are from my long hoarded stash as is the ribbon. The sentiment is from Raisin Boat and I used the set Wonderland Wishes. I used a mix of Copic markers and the EK Success color pencils and ink pad from Michael's. Of course, I used the Crystal Snow glitter on the fur on the entire outfit.